Litigation funding is becoming mainstream according to one of the UK’s leading providers of third-party finance for legal cases. Burford Capital, which invested over £220m in financing legal cases in the first six months of 2018, says its profits are up by 17% to £126m over the same period. 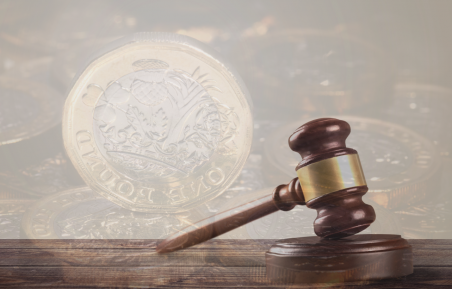 Litigation funders provide the finance for lawyers and litigants to undertake legal proceedings – usually in return for a share of any damages received. If the case is lost, the third-party funder generally loses all their investment in the case. It is becoming big business in the UK. Burford claims it has around 60% of the market, but the market is growing rapidly. Litigation funder Augusta recently raised £150m to finance cases. Harbour Litigation raised £350m in May 2018, while Therium announced that it had a £300m fund earlier this year. Law firms are getting in on the act too. City firm Rosenblatt, which recently floated on the AIM market, said it would be using part of the capital it raised to invest in litigation funding. Overall, figures suggest that the UK’s 16 main third party funders now have over £1.5 billion under management. More solicitors expect to use litigation funding in the future. Research by Burford revealed that over eight in ten UK lawyers are aware of litigation finance and more than half expect to use it for the first time in the next two years. Reports on the growth of the litigation funding market have been published by the Law Society Gazette, Out-Law, and The Times.